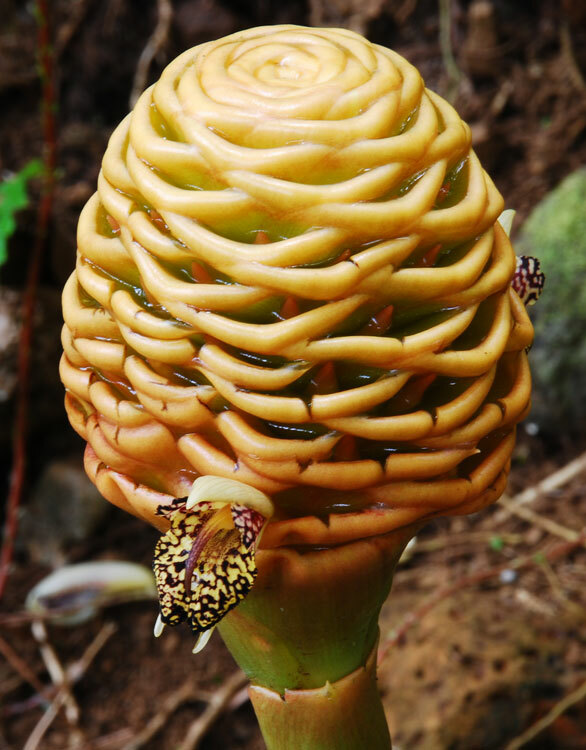 Beehive Ginger is a medium to tall species that has a large yellow and red inflorescence of a beehive shape. 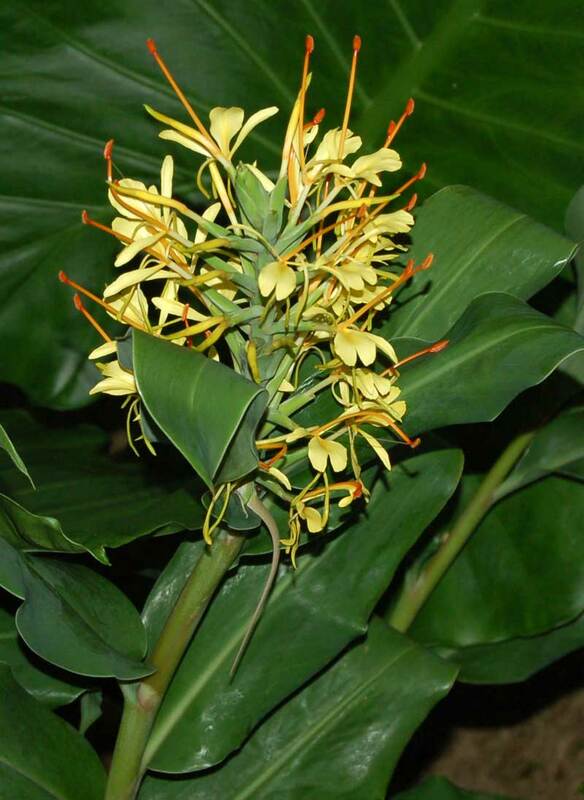 It is used frequently in the cut flower industry and has a very long lasting inflorescence. 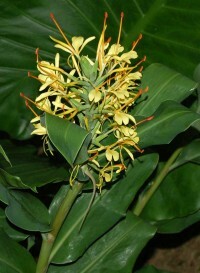 Inflorescence are borne on short stalks coming from the ground rather than on top of its foliage. One of the most spectacular of all Irises, their 5- to 9-inch-wide flowers bloom in purple, pink, white and blue, often marked with a contrasting color. 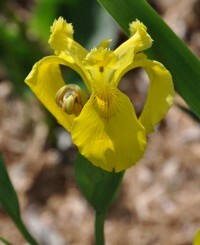 The 2- to 3-foot-tall stems each produce 3 to 15 single, double or peony-like flowers in early to mid-summer. Will not tolerate hot, dry climates. Thrive with lots of moisture and rich, organic soil. 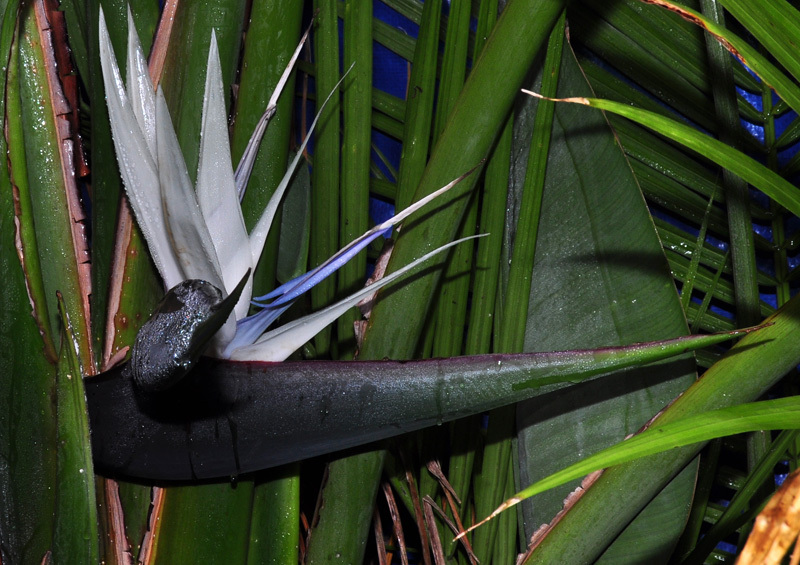 Ideal in groups near ponds or in pots submerged in water. Plant divisions in spring. Feed heavily with high nitrogen during growing season for maximum-sized blooms. Divide and replant every 3 to 4 years. 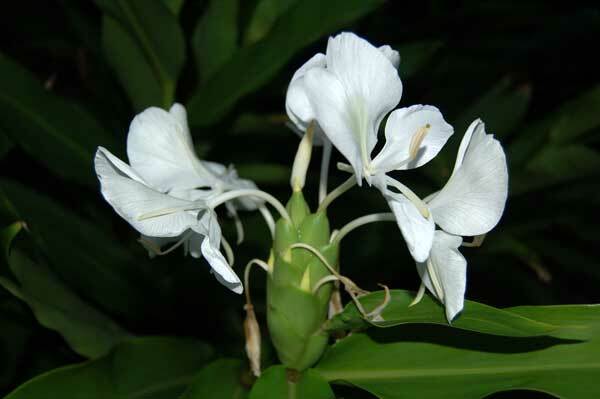 White butterfly ginger lily, or simply white ginger, is a tropical perennial and a cousin of culinary ginger (Zingiber officinale). It's green stalks grow from thick rhizomes to a height of 3-7 ft. Leaves are lance-shaped and sharp-pointed, arranged in 2 neat ranks that run the length of the stem. From midsummer through autumn the stalks are topped with 6-12 inch long clusters of incredibly fragrant white flowers that look like butterflies. 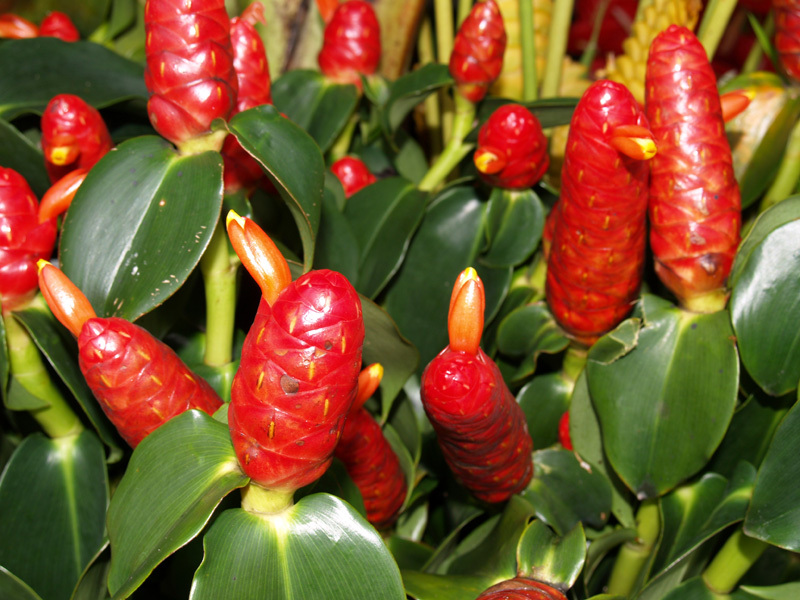 The flowers eventually give way to showy seed pods chock full of bright red seeds. Curcuma Elata, also know as the 'Giant Plume' Ginger, is one of the first gingers to bloom in spring. 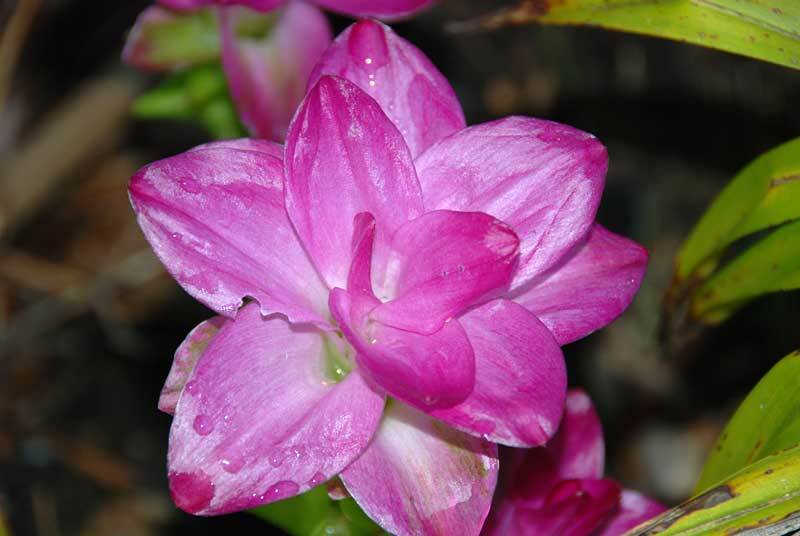 Large pink inflorescence is produced before leaves appear. Plants can become quite large; it grows well in medium to full sun. Elata will go dormant in November in cooler climates but returns in April or May.